Lennox makes reliable heat pumps for every budget and purpose as the Dave Lennox Elite Series XP13 Heat Pump demonstrates. It offers lower up-front costs while delivering Energy Star qualifying efficiency. 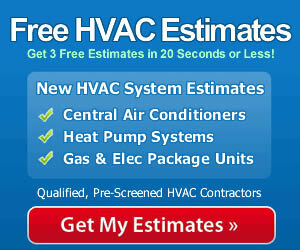 Brian in Raleigh, North Carolina sent in numbers that we can add to our HVAC prices database. Here’s his letter regarding the Dave Lennox Elite Series XP13 heat pump price. “We bought a cheap older home 8 months ago that needed major work. The price was right and since I can do most of the work myself, it’s been a good deal all the way around. We could sell the completed home now and still make a profit, even given the down real estate market. We’re not sure if we’ll stay here long term or try to sell it at some point, so I didn’t want to overspend on anything, including the heating/cooling system. As I compared heating pump prices the Lennox Elite Series XP13 presented the right cost/efficiency combination for us. I contacted 3 Lennox dealers to come out and take their best shot at pricing. Two of the contractors agreed that a 4 ton unit would be needed while the third guy – who actually came here first – was quoting a 2.5 ton unit. When I got the second 4-ton recommendation I told the contractor about the 2.5 ton quote and he didn’t believe me until I showed him the written estimate. He walked me through the entire load calculation process that he came up with using the manuals. I did my own research on your site and became convinced that I did need a 4 ton unit. The first guy either didn’t know what he was doing or, more sinisterly, was trying to be the low bid without regard for whether or not the system was sufficient. Up to 15.5 SEER and 8.5 HSPF, both of which meet Energy Star criteria. Qualifies for the federal energy efficiency tax credit which has been extended. Dual fuel compatible for those who prefer the flexibility of heat pump heating or gas furnace heating. Decent noise level – 76 db isn’t great, but you won’t notice it unless the unit is parked right next to your patio and you’re outside. R-410A refrigerant does not contain ozone-depleting chlorine. Steel cabinet, easy access panels, drainage holes to reduce corrosion caused by sitting water. Good warranty: 10 years on the compressor, 5 years on parts. Once you’ve decided on the right unit to meet your specific needs, the next step is to have a qualified contractor do the installation. Brian mentioned that he did much of the work himself on the house, but he apparently knows when to leave it to a professional in order to get the proper installation and performance. Having a pro take care of it means that your warranty is in place, the unit has been accurately tested for high performance, and you’ve got an expert available to answer questions and handle maintenance and repairs. That’s the best way to make the most of your investment.